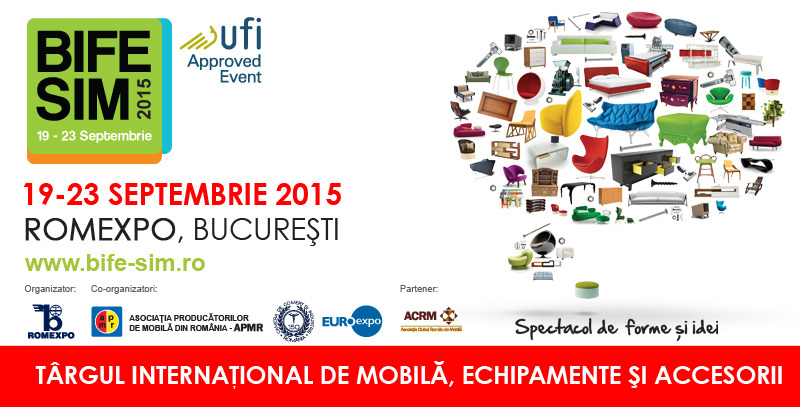 BIFE - SIM is Romania's international exhibition for furniture, wooden products, interior decorations and machinery and equipment for forest exploitation and wood processing. First of all, Bife – Timb is addressed to professional visitors. On this occasion business people and professionals from this field will be invited in order to extend, consolidate and improve their business. BIFE - SIM addresses in the same time to the common public, the end-users being attracted by the large offer. Therefore, the fair is also a very good opportunity for launching a product, a brand or a business. The BIFE - SIM will take place on 5 days from Saturday, 19. September to Wednesday, 23. September 2015 in Bucharest. What did BIFE-SIME meant in 2014? Romania Green Building Council (RoGBC) was invited to present "Green Homes" program at the conference Urban Design on 19 September. We invite you to attend and to visit our booth at BIFE-SIM 2015.